State Health Minister Vishwajit Rane said Parrikar's health parameters were "satisfactory"
A team of doctors from the All India Institute of Medical Sciences (AIIMS) in New Delhi will arrive in Goa on Sunday evening to attend to ailing Chief Minister Manohar Parrikar, an official in the Chief Minister's Office (CMO) said, dismissing rumours that he was in a "critical" state. The official said Parrikar, 63, was "stable". The senior BJP leader, suffering from a pancreatic ailment since the last one year and recuperating at his private residence at Dona Paula near here, was admitted to the Goa Medical College and Hospital (GMCH) late Saturday night. "A team of AIIMS doctors, who had treated Parrikar in Delhi, would be arriving in Goa in the evening to check him at GMCH," the CMO official told PTI. "The chief minister's condition is stable. He is not critical," he said refuting rumours. State Health Minister Vishwajit Rane said Parrikar's health parameters were "satisfactory". "I called on the chief minister today morning. He will be kept under observation till tomorrow. But most importantly, he is doing well and his parameters are satisfactory," he said. Rane said he was happy to see Parrikar "active and alert", and appealed to people not to speculate and instead, pray for the chief minister's speedy recovery. Parrikar had met state Town and Country Planning Minister Vijai Sardesai on Saturday evening to discuss politics and administration and was later shifted to GMCH, almost four km from his residence, around 10 pm. The CMO in a statement released here on Saturday said Parrikar was taken to GMCH for upper GI endoscopy (gastrointestinal examination). "His health condition continues to be stable," it said, adding he would be kept under observation for around 48 hours. Parrikar had fallen ill on February 14, 2018 and was shifted to GMCH, from where he was taken to Lilavati Hospital in Mumbai the next day. The chief minister returned to Goa on February 20, 2018 to present the state budget. He left for the US for treatment on March 3, 2018 and returned on June 14, 2018. He then attended monsoon session of the Assembly from July 19 to August 3, and left for the US again on August 10 for a second round of check-up. He returned to Goa on August 22, 2018 and was later shifted to AIIMS at New Delhi on September 15. After almost a month-long treatment, he returned to Goa on October 14, 2018. 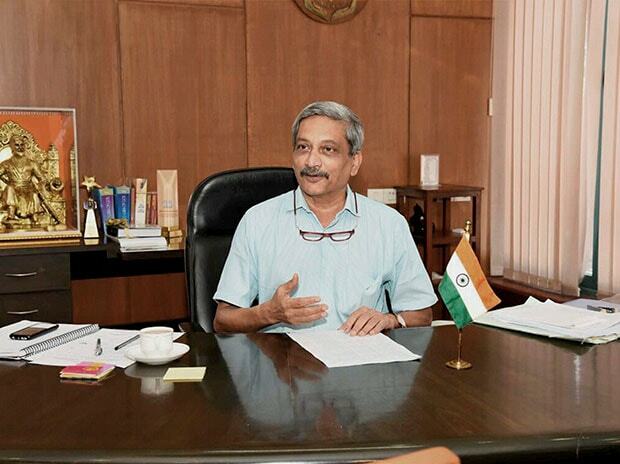 Parrikar resumed his office on January 2, 2019 after a gap of two-and-a-half months. On January 27, he attended the inauguration of third bridge on the Mandovi river here along with Union minister Nitin Gadkari. He also attended the Budget session on January 29 and presented the state budget next day. Parrikar also addressed Atal Booth Karyakarta Sammelan on February 9 in the presence of BJP chief Amit Shah.